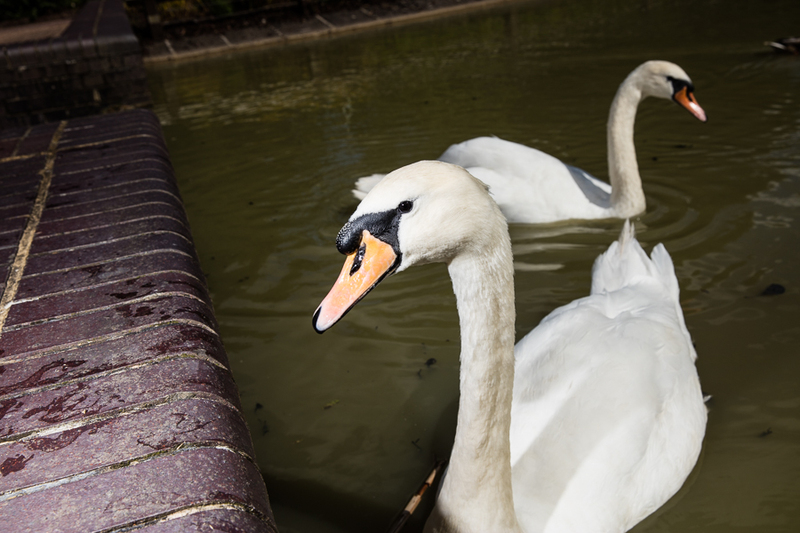 I had twenty minutes to spare between a couple of business engagements, so I set myself the task of photographing the two swans in the business park ponds. There was some cloud in the sky so the light fluctuated between harsh, direct, mid afternoon summer sun and sun behind cloud. The ponds are shallow, a horrible muddy green colour and covered with tree litter. The background is equally uninspiring. I had with me a Canon 5DSLR body, EF24-70mm f2.8 lens and one speedlite with transmitter. 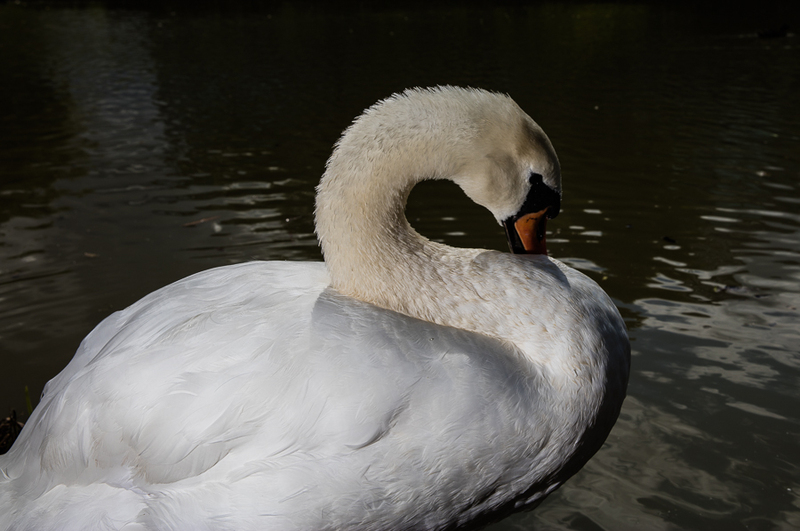 Below is a standard close up of one of the two Mute Swans. Getting them close is straight forward, simply behave like a piece of soggy white bread. They will come to inspect, get bored when they find your are not edible and swim off. With short memory spans they will soon return. One of the early attempts is shown below. Some good illumination from the hand held speedlite, held to the left of the camera, but the dark stripe across the eye kills the image. 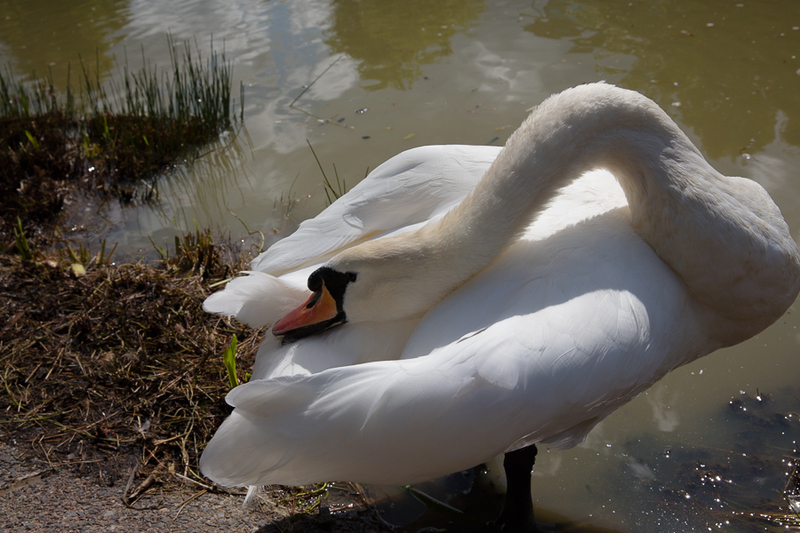 I was fortunate that both swans stepped out to preen. 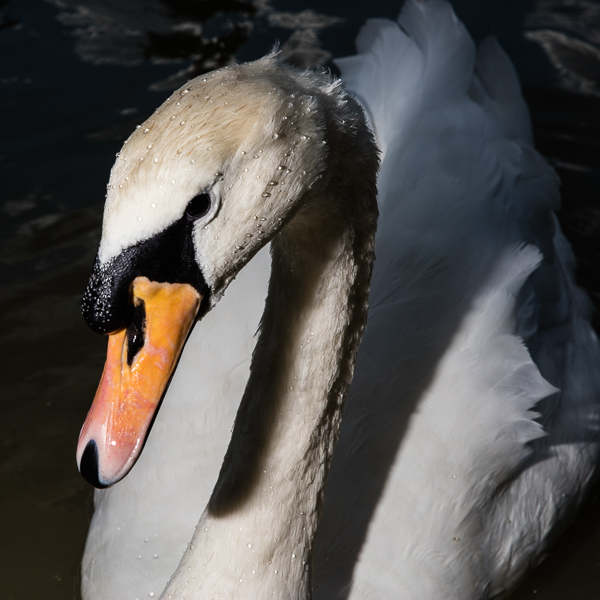 This first image is basically just fill in flash which is losing some of the subtly on the feathers and the back ground remains a distraction. Dialling down the expose and slightly changing the flash has reduced the impact of the background whilst also adding some texture to the breast feathers. 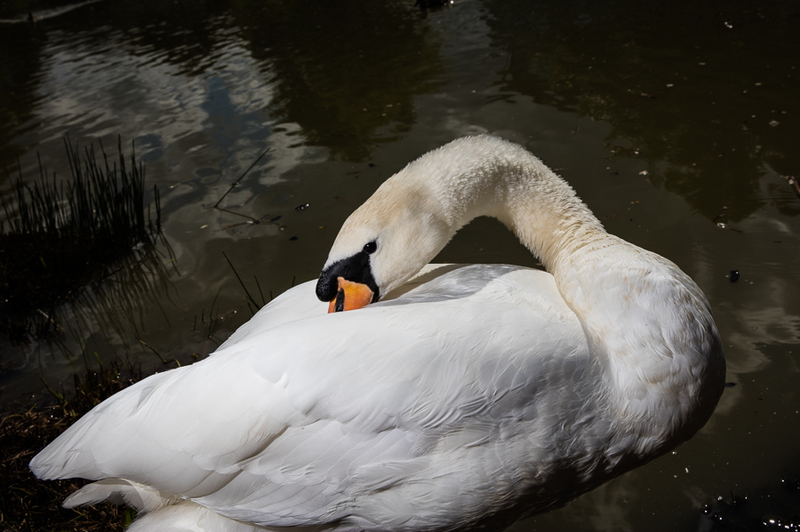 Well if your model takes the trouble to preen the least you can do is capture the best angles. Back to the water at last and some nice light details to lift the water. 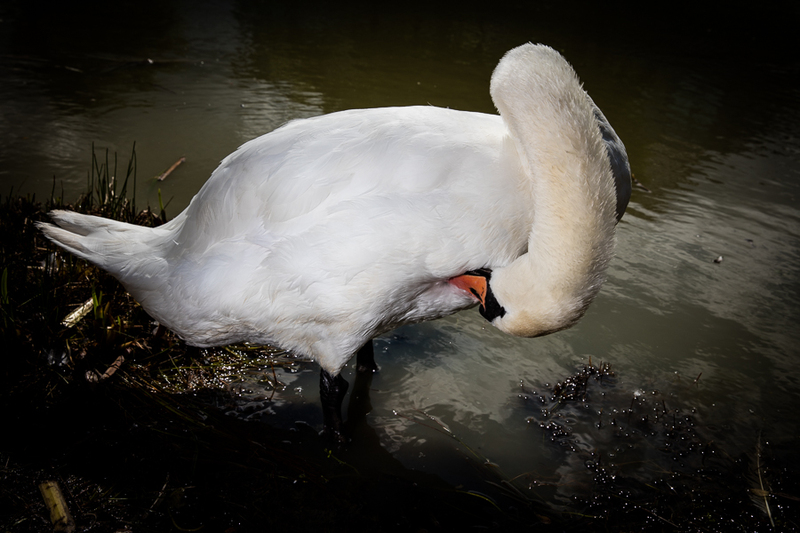 Towards the end the swans moved down to the outlet weir for the pound. I didn’t like the effect of the speedlite on the bricks as it was too harsh and too artificial for my taste. A point to note for the future. And to finish with, probably my favourite image. 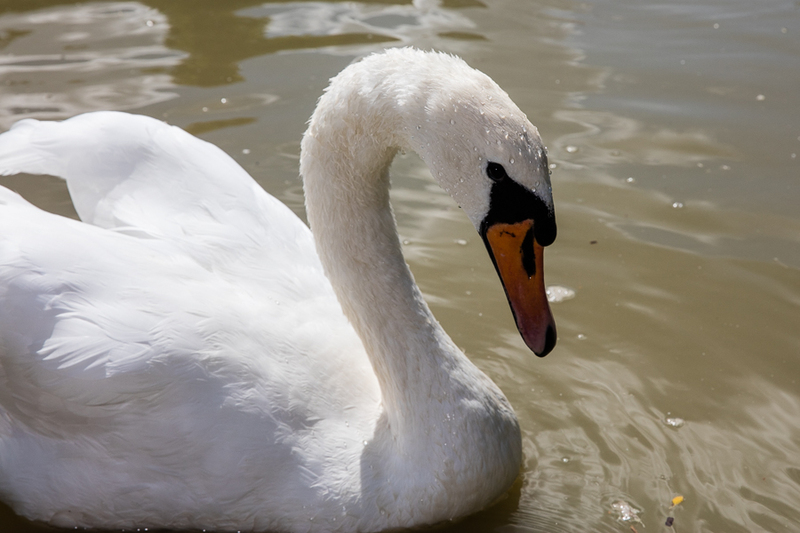 I like the water beads standing proud on the head feathers, some good detail in the tail feathers and devoid of the horrible looking water. Overall not a bad portrait of a moving model. Though it was taken in harsh daylight the speedlite has created a nice mood. 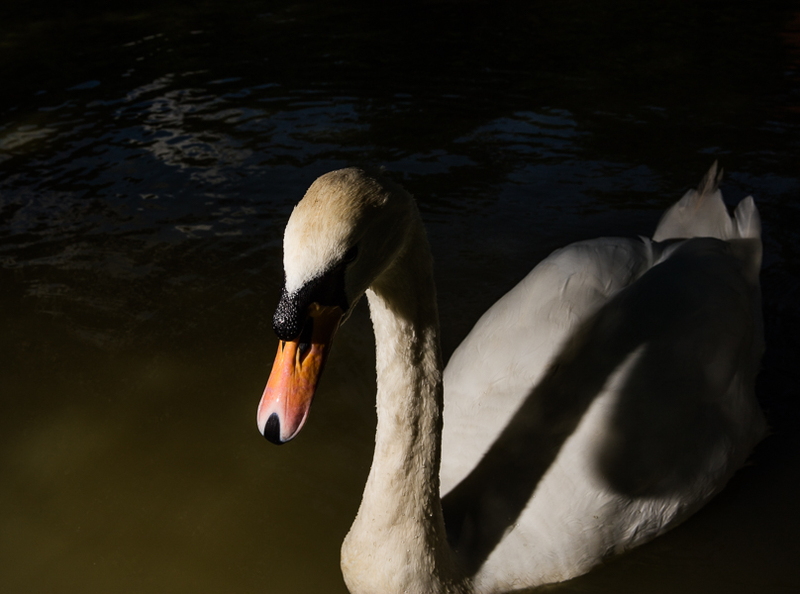 Use of high speed synch did not startle the swans at all, which surprised me. And no I didn’t quite keep to my twenty minutes and the shoot had a 2 minute over run! I took away a few points to think about and work on but the use of artificail light is moving forward and I continue to formulate some ideas for bringing the techniques in to some of Alligin Photography’s rugby union photography. 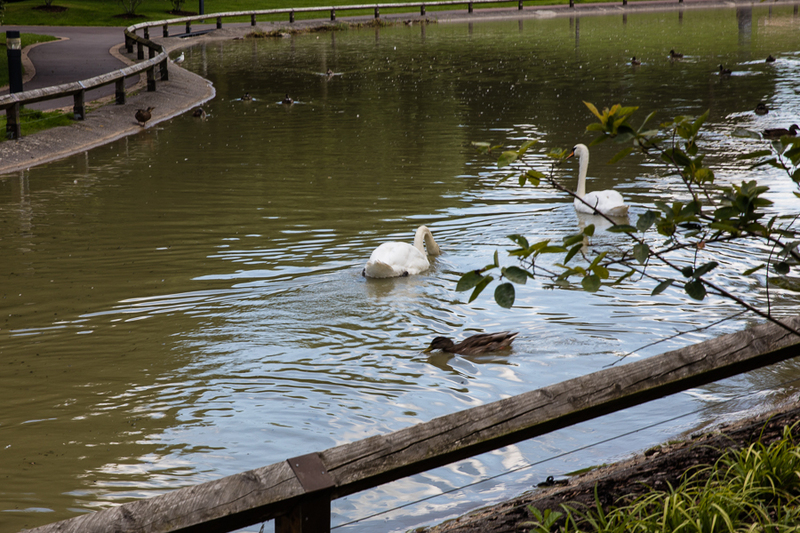 Though the swans are very used to people being in a public pond within a business park I did not feed them to bring them close to the camera as this is outside of the code we follow when filming wild life. 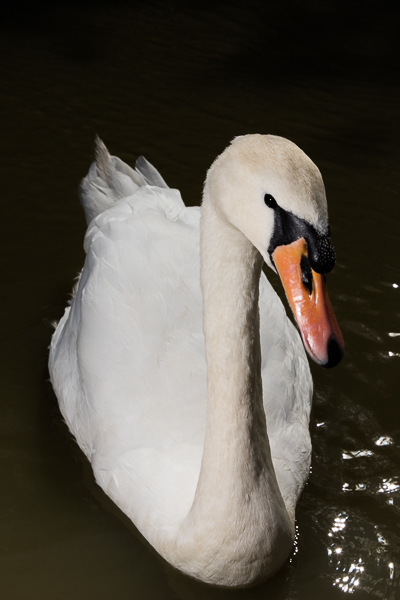 Also despite the close up images the swans never showed any signs of being distressed during the period of the shoot.